4. Description Abstract What does a travel writer do when he tries to evoke a universe of reference that is fundamentally heterogeneous to the language he shares with his readers, to name referents who have not received a name in that language? It sometimes happens that the author feels that his reader is capable of processing this kind of text while the estimate made is entirely false and leads to a breach of understanding on the part of the reader. This occurs especially when the textual referent moves away from the actual referent. The difference or the cognitive and semantic approximation are analyzed here in terms of unexplained foreign words, but which can sometimes very well adapt to the world of the receiver using strategies implemented by the author, especially that of autonymy, which we will take care to analyze. It is for us to study, from a semantico-discursive perspective, the various (autonymic) processes that allow the editor to describe the exotic referent, starting from a limited corpus of texts of French travelers in Persia. This work is under a Creative Commons Attribution-NonCommercial-NoDerivable 4.0 International license. What does a travel writer do when he tries to evoke a universe of reference that is fundamentally heterogeneous to the language he shares with his readers, to name referents who have not received a name in that language? It sometimes happens that the author feels that his reader is capable of processing this kind of text while the estimate made is entirely false and leads to a breach of understanding on the part of the reader. This occurs especially when the textual referent moves away from the actual referent. The difference or the cognitive and semantic approximation are analyzed here in terms of unexplained foreign words, but which can sometimes very well adapt to the world of the receiver using strategies implemented by the author, especially that of autonymy, which we will take care to analyze. It is for us to study, from a semantico-discursive perspective, the various (autonymic) processes that allow the editor to describe the exotic referent, starting from a limited corpus of texts of French travelers in Persia. The article has been successfully submitted. Hello! I found this article that I think you may be interested in. Chavoshian, Sharareh, andAfsaneh Pourmazaheri. "Sensibility and rigor in translation: autonymy as an appellative solution" Comunicación y Hombre, vol. 0, no. 15, 2019. Chavoshian S, Pourmazaheri A. Sensibility and rigor in translation: autonymy as an appellative solution. 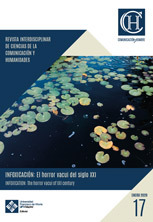 Comunicación y Hombre [Online] (2019 Jan 24); 0(15).